Montenegro is a small country in the Balkans. Its tourism has a lot to suffer because of the war in former Yugoslavia in the 90s, but it seems that it bounces back slowly but surely. The Adriatic Sea, which borders Montenegro in the West, brings in a lot of tourists thanks to the Mediterranean climate, which is more than perfect for summer. Other than that, you can visit medieval towns, which are perfectly maintained. Their tall walls surround the medieval buildings, and the history behind them is fascinating. The beaches are pristine, and the dramatic coastlines make for incredible photos. Montenegro may have had a rough past, but it has always kept its beauty. Before you travel to Montenegro, you need to see whether or not you need a visa to enter the country. Lucky for you, Montenegro has a pretty lenient visa policy, and many nationalities can visit the country up to 90 days without a visa. What is worth mentioning is that Montenegro has a visa policy that is similar to the visa policy of the Schengen Area. The countries from the visa waiver program (Annex II) are maintained with a few exceptions. Even so, the ones that were removed were replaced with new nationalities. 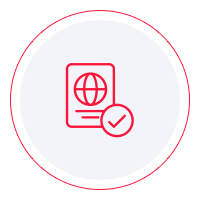 If you want to see if you are visa-free or not, you can take a look at Montenegro visa policy yourself, or better yet, you can use iVisa’s Visa Checker. The tool is easy to use and makes the information you need available in just a few clicks. First, you must click on the button that says Visa Checker. You can see it in the top right corner. Then, you must select your country of origin in the drag-down menu on the left and Montenegro in the right menu. The result will display whether or not you need a visa. And if you do, you will receive some useful information such as a list of the nearest embassies. Unfortunately, iVisa cannot help you with the Montenegro visa application process because electronic visas are not available, but we still want to be useful. That is why our support service is at your disposal 24/7, and we will not charge you for using it. If the Visa Checker lets you know that you must visit the nearest Montenegrin embassy to get your visa, you must make inquiries about the requirements. You can find a lot of valuable information online, but we recommend that you use that as a reference only. A diplomatic mission or an embassy will always be the most reliable source of information. You should contact them before going down there. In the meantime, what we can tell you is that you need a valid passport that does not expire for another 3 months from the date of departure from Montenegro. We are sorry that we cannot help you get your Montenegro visa itself, but surely you are going to handle the situation just fine. We at least hope that the information mentioned above points you in the right direction.